October 12, 2018 6:06 pm. Ace High has made a timely return to top form in preparation for the Caulfield and Melbourne Cups. A strong win in the Hill Stakes at Randwick has reigning Victoria Derby winner Ace High on target for the big spring Cups in Melbourne. 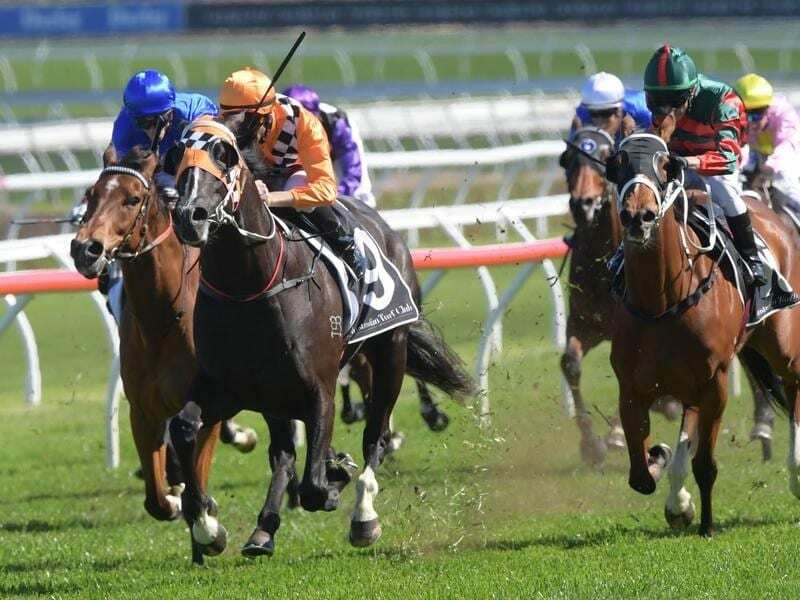 The David Payne-trained stayer relished getting out to 2000m for the first time this spring in Saturday’s Group Two weight-for-age race, drawing clear in the final 100m win by two lengths. Last year’s Doncaster Mile winner It’s Somewhat ($6.50) ran into second with $2.50 favourite Egg Tart another long head away third. “He’s really come on,” Payne said. “The Caulfield Cup is his next start and then the Melbourne Cup. Hugh Bowman made a mid-race move on Who Shot Thebarman to take up the running and at that stage Tye Angland was able to angle off the fence to have Ace High ($3) in clear running. He built into the race nicely from there before striding to the front at the 200m. “He was coming away from them. It was a good effort and he even surprised me,” Payne said. Along with his Victoria Derby win at Flemington last spring, Ace High also won the Spring Champion Stakes (2000m) at Group One level while he was beaten in a photo finish to the ATC Australian Derby (2400m) during this year’s autumn carnival.